The headband: coupled with a simple hairstyle (updo or down in loose locks), the headband is a perfect accompaniment to a 2011 bride's look. Headbands will be popular in many forms ranging from the embellished crystal and rhinestone bands to the simple symmetrical fabric bands. 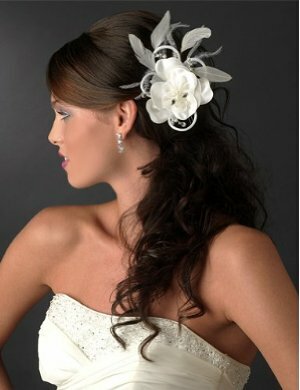 Double headbands will also be popular in 2011 for brides hoping to add a little romance to their appearance. 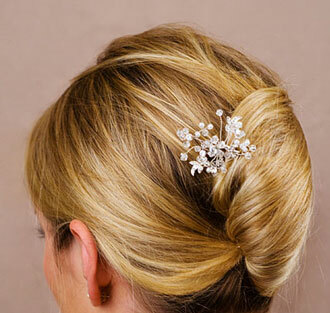 Crystal Pins: will continue to be present in bridal hair throughout the end of 2010 and into 2011. Loosely twisted buns and even more polished updo's will be completed with a beautiful cluster of crystals in one area of the hairstyle for a modern, couture effect. Hey, isn't this Keira Knightley?? 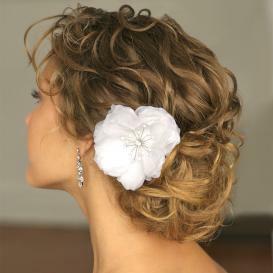 Flowers and Feathers: the single flower or a flower adorned with a few feathers and crystals will be another popular addition to wedding hairstyles in 2011. The single flower is usually associated with summer or beach weddings because of its simple and carefree appearance. 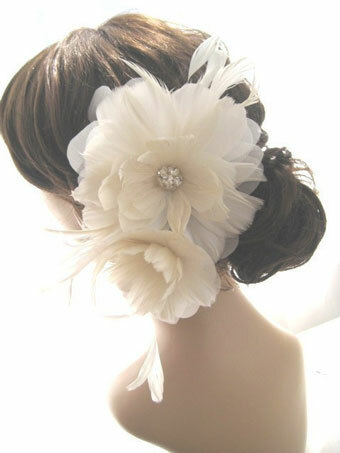 White feathers add subtlety to any look and will work with almost any gown style. This accessory works with either updos or long hair assembled in a half updo style. It is both elegant and classic. from: Amazon.com! - didn't know they sold wedding stuff..